Stand-Up Comedy in Theory, or, Abjection in America is the first study of stand-up comedy as a form of art. 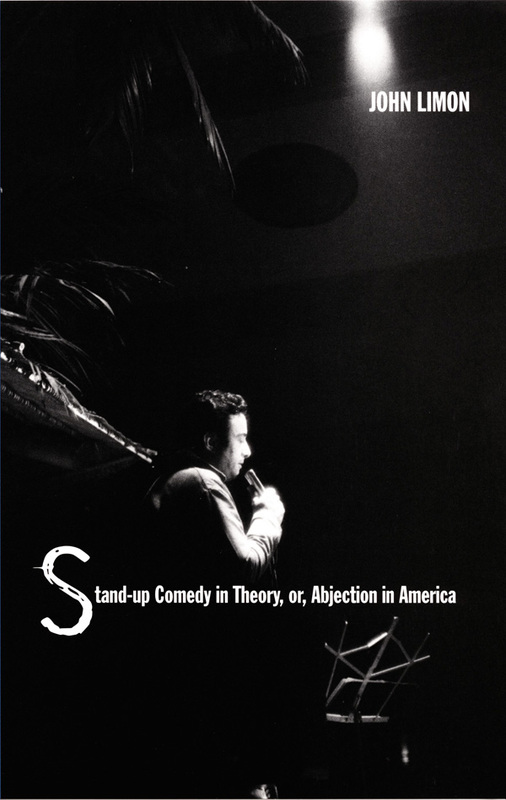 John Limon appreciates and analyzes the specific practice of stand-up itself, moving beyond theories of the joke, of the comic, and of comedy in general to read stand-up through the lens of literary and cultural theory. Limon argues that stand-up is an artform best defined by its fascination with the abject, Julia Kristeva’s term for those aspects of oneself that are obnoxious to one’s sense of identity but that are nevertheless—like blood, feces, or urine—impossible to jettison once and for all. All of a comedian’s life, Limon asserts, is abject in this sense. Limon begins with stand-up comics in the 1950s and 1960s—Lenny Bruce, Carl Reiner, Mel Brooks, Mike Nichols, Elaine May—when the norm of the profession was the Jewish, male, heterosexual comedian. He then moves toward the present with analyses of David Letterman, Richard Pryor, Ellen DeGeneres, and Paula Poundstone. Limon incorporates feminist, race, and queer theories to argue that the “comedification” of America—stand-up comedy’s escape from its narrow origins—involves the repossession by black, female, queer, and Protestant comedians of what was black, female, queer, yet suburbanizing in Jewish, male, heterosexual comedy. Limon’s formal definition of stand-up as abject art thus hinges on his claim that the great American comedians of the 1950s and 1960s located their comedy at the place (which would have been conceived in 1960 as a location between New York City or Chicago and their suburbs) where body is thrown off for the mind and materiality is thrown off for abstraction—at the place, that is, where American abjection has always found its home. As the first study of its kind, Stand-Up Comedy in Theory, or, Abjection in America will appeal to a wide audience including those interested in cultural studies, Jewish studies, gender and queer theory. John Limon is Professor of English at Williams College. He is the author of The Place of Fiction in the Time of Science and Writing after War.